Our processes reduce mess and allow you the flexibility to use your kitchen at night while we are working on your project. In Phase One, we de-gloss the finish and wash down the cabinets. 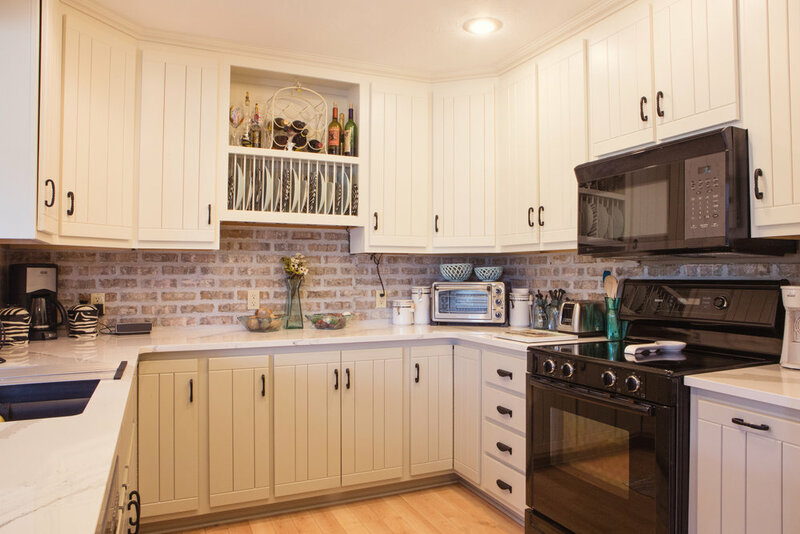 Wood cabinets have a clear coat finish that must be dulled before paint can properly adhere. The traditional method is to sand this finish down. But this leaves behind a dusty mess that get's everywhere. The de-glosser is a low potency chemical that promotes adhesion between wood and primer without having to sand. In Phase Three, we are using a strong bonding waterborne primer that sticks to just about everything. Appropriately enough, this primer is called Stix and it's remarkable at providing a strong bond between nearly any surface and finish coats. Phase Four, we begin painting the first and second coats. We use a combination of brushing and fine finish rolling. 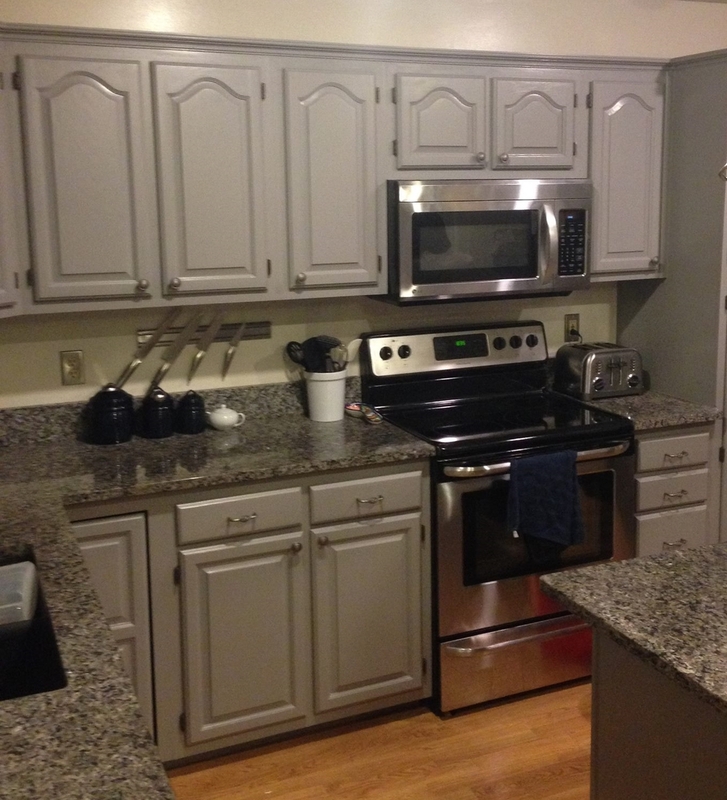 We use a hard enamel waterborne alkyd called Advance by Benjamin Moore on cabinets. This remarkable finish levels out beautifully and hardens to provide a durable finish that will last. 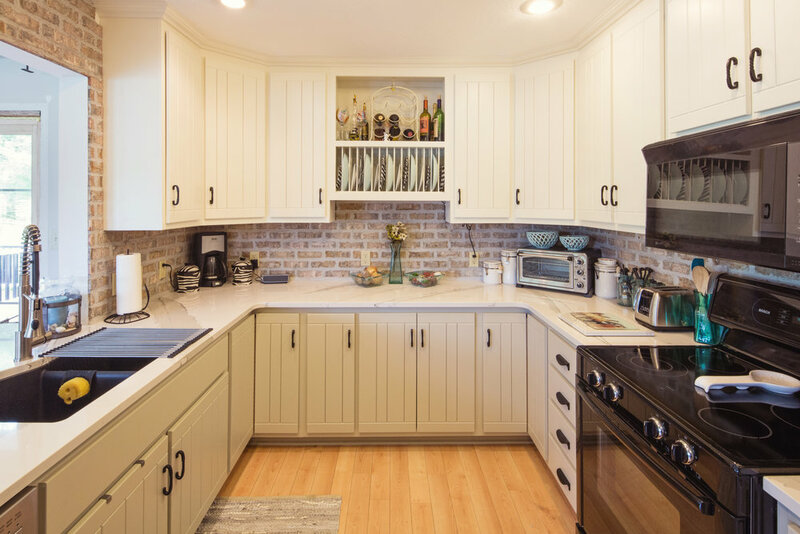 We can't say enough about the benefits of painting your kitchen cabinets. You'll just love it!